Literary Lindsey: It's Monday and I need a nap! There has been all of the craziness of a regular week plus a grouchy little boy who is adjusting to a new schedule and a grumpy little girl who is getting some molars/suffering from a nasty cold. I'm just going to slink off to a corner somewhere and take a nap. Top Ten Tuesday: I've read one book and now I need to read more! 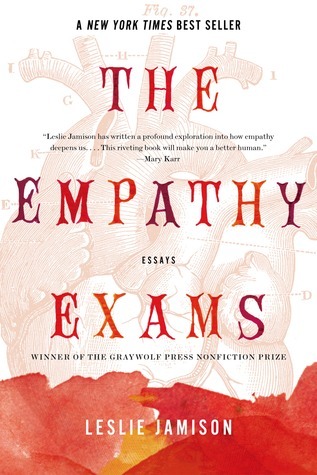 I like the sound of The Empathy Exams. Me too! I think it is going to be a very interesting read. Oh... love Jane Austen! A nice variety there! I think I'm going to do RIP too so the recommendations were good to see. Between that and the Frightfall readathon I need to come up with some good scary reads... The Bones of Paris looks interesting. 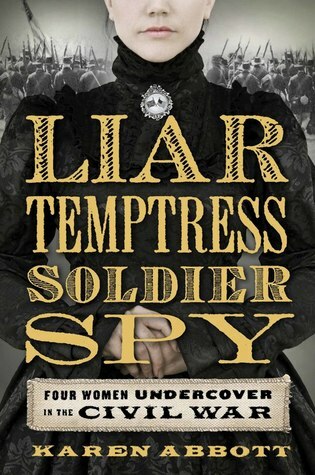 Liar Temptress Soldier Spy sounds intriguing! I like the cover. Enjoy your reads. It's been great so far. Abbott has a gift for making history really compelling. Nice assortment of books. I hope the grouchies and the grumpies go away soon. Happy reading! Thanks Kathy. I hope so too! Hope your kids settle down., feel better, soon! Liar, Temptress, Soldier, Spy is really good. I've also read her book about Gypsy Rose Lee. I'm with you! Isn't it bedtime yet? 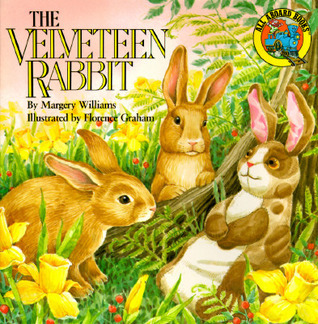 We love The Velveteen Rabbit here - wonderful story. 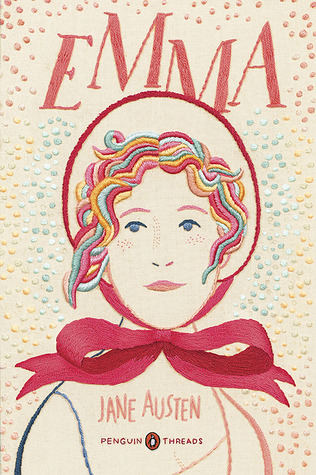 I just read Emma this summer - my first-ever Jane Austen novel. i struggled with it at first but it picked up a bit in the second half. Enjoy your books this week - and get some rest! We do too. It's interesting because I'm pulling the picture books back out of the closet to read with Becca Grace for the first time and re-reading with David so he can practice reading out loud. I found Emma a slow start as well. I don't think it's the Austen book I would recommend starting with! 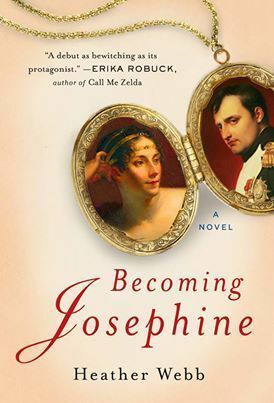 I'll be reading Becoming Josephine this week. What cute bedtime stories!! I always loved The Velveteen Rabbit when I was growing up. I need to read that with my littlest one. I try very hard to read with each kid every night and I think it's really fun to share what we are reading and see what other parents and kids are reading together. I hope you enjoy reading Becoming Josephine! Becoming Josephine looks really interesting. And any of Jane Austen's books are always a treat. Hope things settle down soon at home! Thanks Julie. Becoming Josephine was o.k. but I had a few qualms. I often feel like running and hiding, or giving myself a time-out when the kids are even moodier than usual. Liar, Temptress, Soldier, Spy is getting a lot of notice lately. I initially passed on reading it, but I am now regretting it. I'll have to see about listening to it via audiobook. I hope you have a better week, and that the kids perk up for you! It's a little exhausting, isn't it?? I'm really enjoying Liar, Temptress, Soldier, Spy. If you end up listening to the audiobook, I would love to hear what you think of it! Liar,Temptress, Soldier, Spy is on my tbr. Also, I think Emma would be a good book to read--I have never read Austen. Hooray! I don't know that I would pick Emma as an entry point for Austen. I would probably go with Pride and Prejudice to start. I'm excited to start it. I think the essay format will be great to read alongside another book. Happy reading to you too! The Karen Katz books are lots of fun. Toddler just can't resist opening those flaps, can they? ?